We all want our children to be happy and successful. Would you believe that letting them spread their own wings - without us by their side - may be the most effective way to do this? As parents, our job is to give our children the tools they need to go out in the world and discover who they are and what they want to become - their purpose in life. A child can only truly grow if given some freedom and the chance to gain confidence by exploring new ideas and activities. Whether you’re looking for enrichment for your child, a way to keep your child occupied and supervised while you work during the summer months, or you’re looking for a short reprieve from parenting, there’s a summer camp out there that’s just right for every family. Summer camps in Calgary come in all shapes and sizes, appealing to a range of interests and ages. Here’s how to find a camp that invests in your youngster by creating an unforgettable experience where they’ll meet new friends, gain self-confidence, and learn new skills - all while giving you peace of mind. Sleep-away camp is a childhood ritual that every child should be able to enjoy. But for children who wet the bed, sleeping away from home can be a scary prospect. Kids who suffer from this condition are often worried that other campers will discover their secret, or that camp staff won’t be supportive. But the truth is that most camps are well-prepared to help kids with this common childhood issue, and camp staff are committed to making sure every child has a great camp experience. 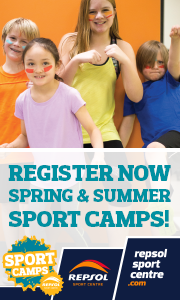 Searching for a Summer Day Camp for Your Child? These Tips will Save Your Sanity!